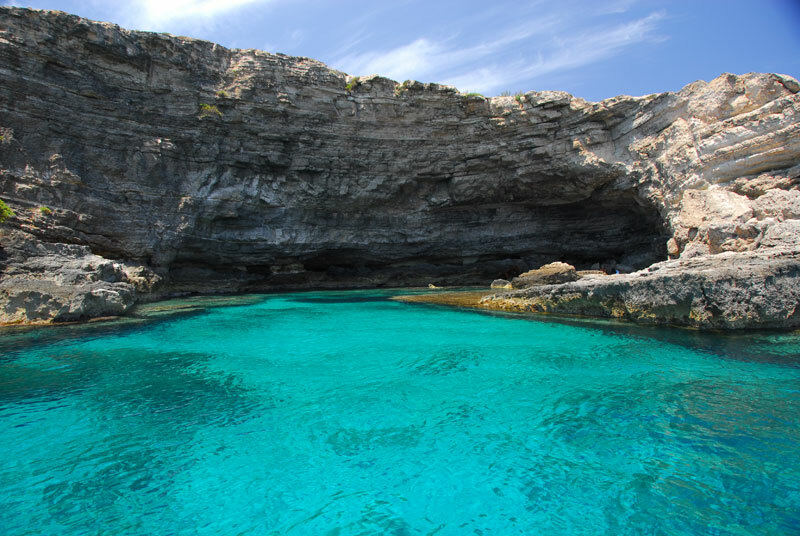 The “Pelagie Islands” Marine Protected Area, established by the Ministry of the Environment, is a marine park managed by the Municipality of Lampedusa and Linosa. 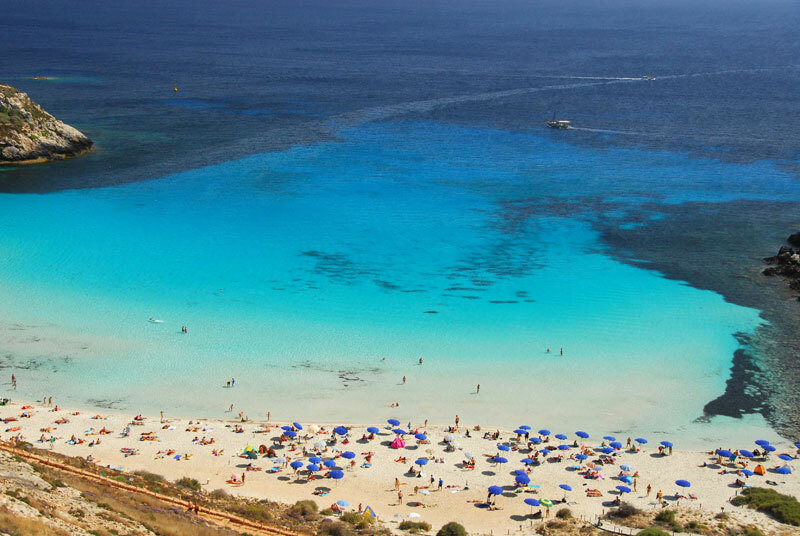 It is one of the largest marine parks in the Mediterranean and is in fact home to almost all of the Pelagie Islands . The park is divided into various protected areas and the most protected are marked by large yellow buoys in the sea. In these areas, designated Zone A, no human activities are permitted. Rabbit Beach (Spiaggia dei Conigli) is the only of these areas that can be accessed by land and where bathing is allowed. 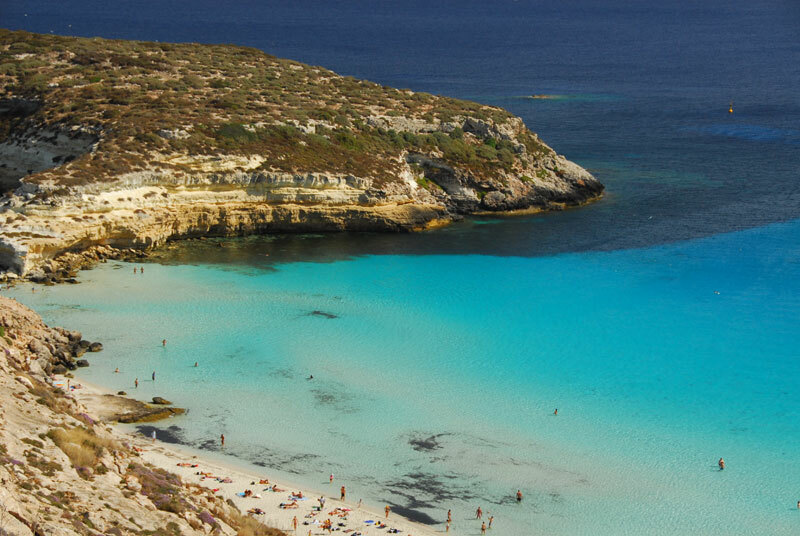 The establishment of this park has permitted many protected species to continue to come to Lampedusa, Linosa, and Lampione to reproduce, such as the famous Loggerhead sea turtle, the symbol of Lampedusa. The sea is home to many species that you can get close to and admire, and some of them, such as the dolphins, will offer you the possibility to feel strong and unique emotions. And this is why we invite you to spend your holiday in this wonderful "Italian" paradise between Africa and Europe. 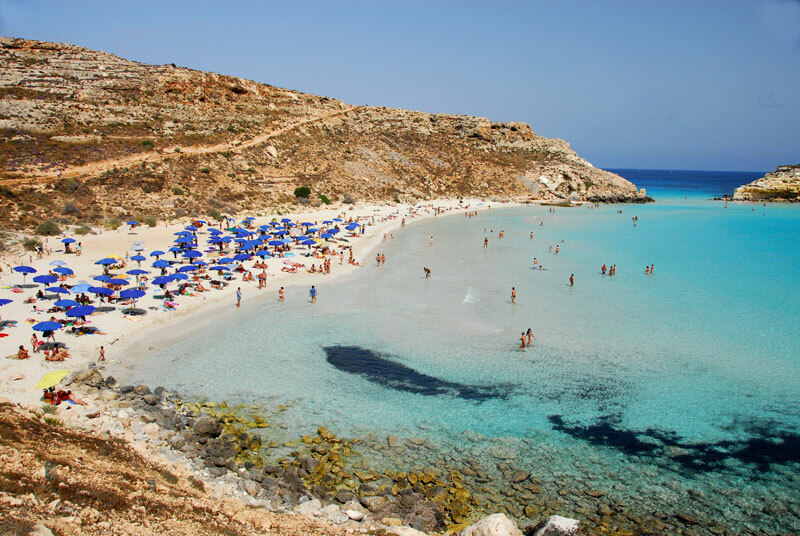 There was a time in Lampedusa when everyone fished and sold sea sponges. 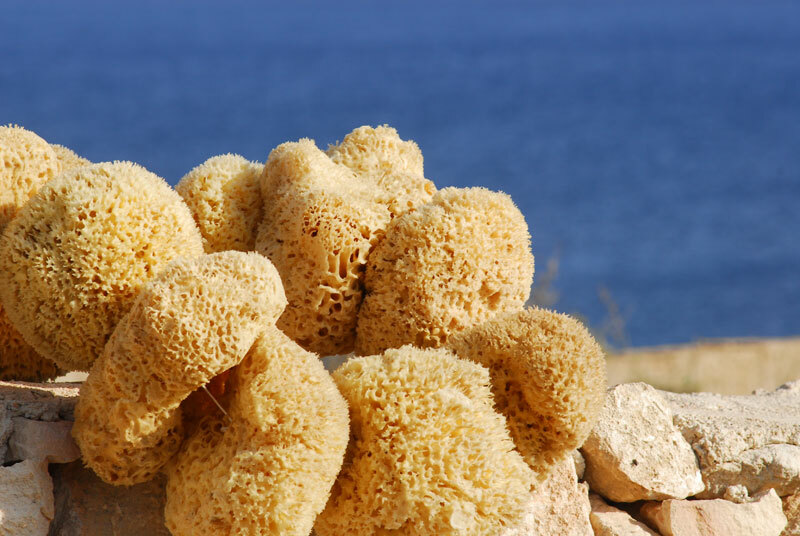 For decades, Spongia officinalis, the scientific name, has been subject to intense fishing in the waters off Lampedusa. 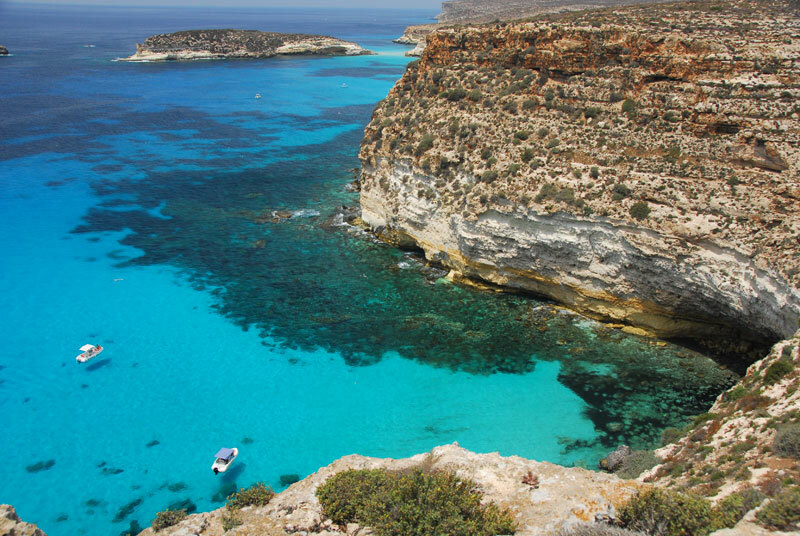 The boats left Lampedusa for the sponge reefs in mid-May and didn’t return until late summer. It was a local resource for years, ending only with the advent of synthetic sponges. Today natural sponge is a niche product, random, as fishing it is prohibited. Its presence in the Mediterranean has now decreased dramatically, so much so, that it is an endangered species and protected by international conventions. However, it is still possible to find rare specimens in the markets, caught accidentally in trawl nets. 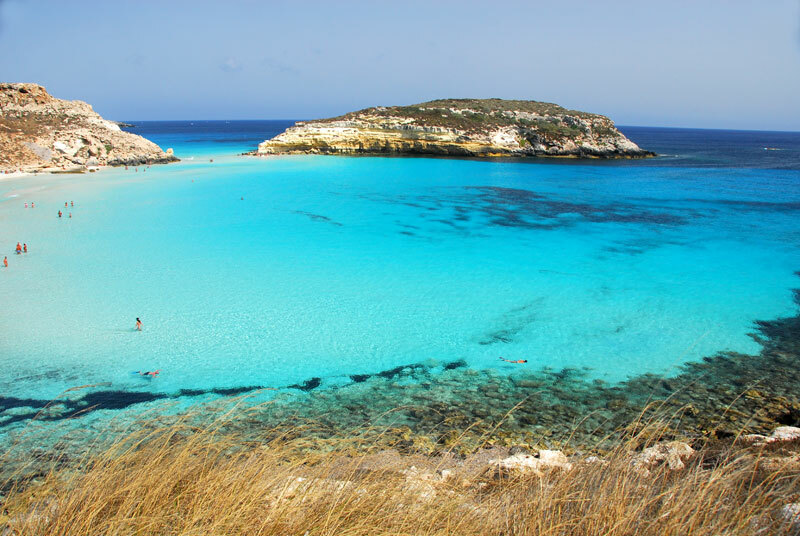 Rabbit Island (Isola dei Conigli) Rabbit Island, the symbol of Lampedusa, is a small uninhabited island near the homonymous beach, famous around the world for the transparency and colour of the sea that surrounds it. There are no longer rabbits on Rabbit Island, but its natural beauty of the past remains and it is also the undisputed kingdom of the yellow-legged gull. 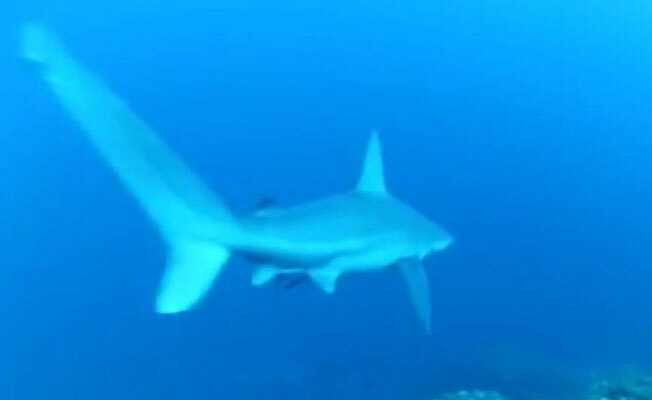 The entire island has been a nature reserve since the 1980s, while the sea is part of the Pelagie Islands Marine Protected Area that was established in 2002. 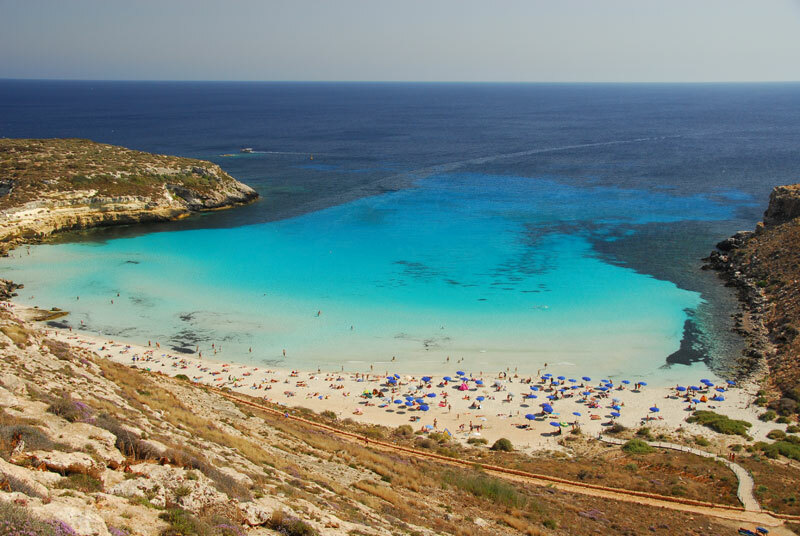 L&apos;Isola dei Conigli, simbolo di Lampedusa, è una piccola isola disabitata che si trova a ridosso dell'omonima spiaggia, conosciuta in tutto il mondo per la trasparenza ed il colore del suo mare. Nell&apos;isola dei Conigli oggi non ci sono più conigli ma racchiude in se tutta la naturalezza di un tempo, ed è il regno incontrastato del gabbiano reale. La spiaggia e la parte a terra è diventata riserva naturale negli anni '80, mentre la parte a mare è parte integrante dell&apos;Area Marina Protetta Isole Pelagie che fù istituita nel 2002. 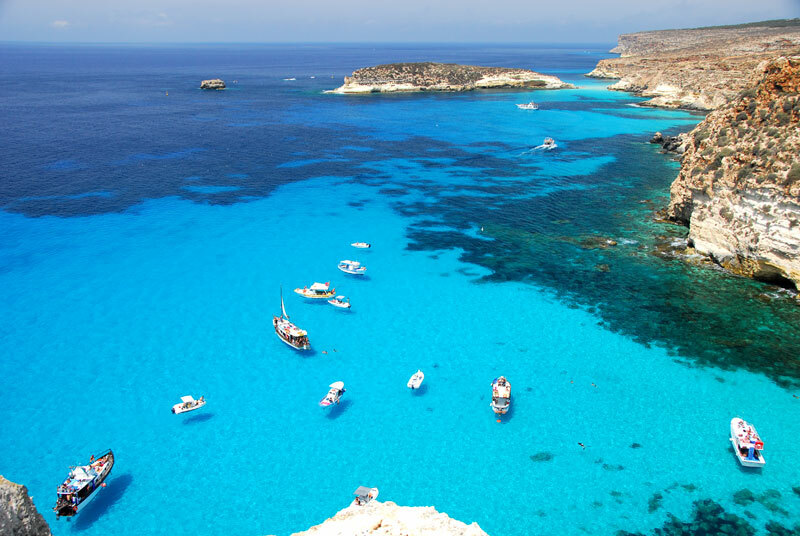 Lampedusa and the other Pelagie Islands are truly beautiful and they are all worth visiting. 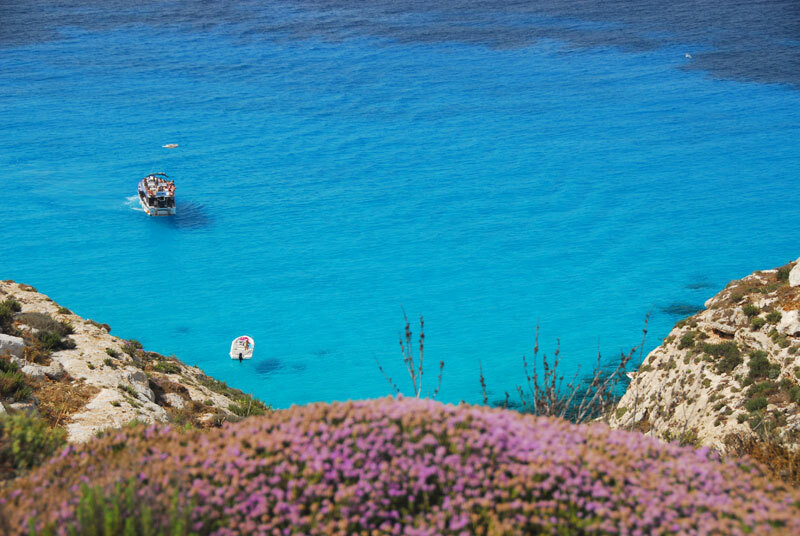 With a small scooter, car or quad it is possible to see all of Lampedusa, even the most isolated places. By renting one of these vehicles, you can roam far and wide. 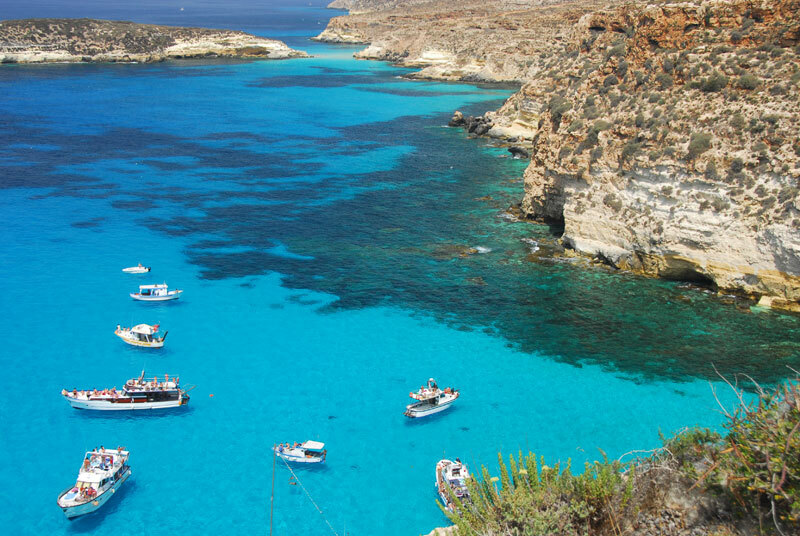 Lampedusa is, however, synonymous with the sea, so don’t miss out on renting a small motorboat or skiff, which can be used without a boat license. If you want something a little more relaxing, you can take a mini cruise on our gulet sailboat TurKuaz; definitely the best way to visit all of the islands. 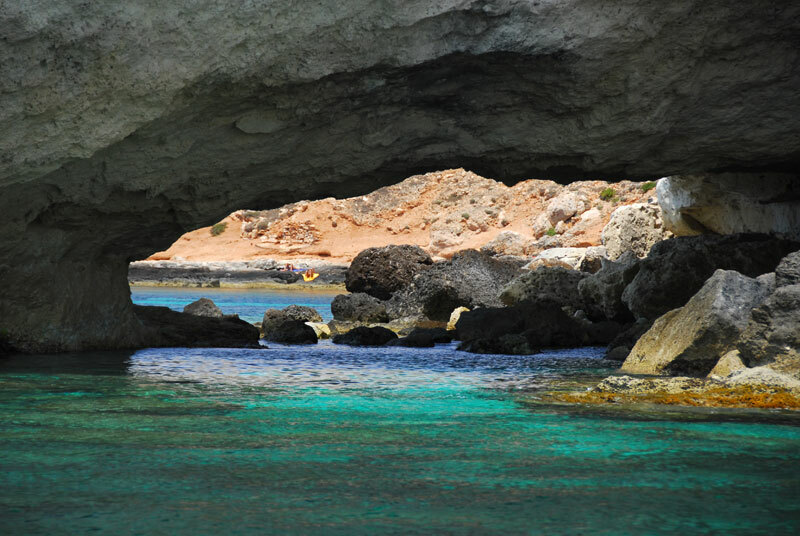 Many of the places worth visiting on Lampedusa are only accessible by boat. One of these, just before Rabbit Island, is Tabaccara Cove. This is where the myth of flying boats was born. And it is obvious why. The crystal clear water and colours of the sea create the illusion that boats are suspended in mid-air, when in fact they are just boats bobbing on an enchanted sea. 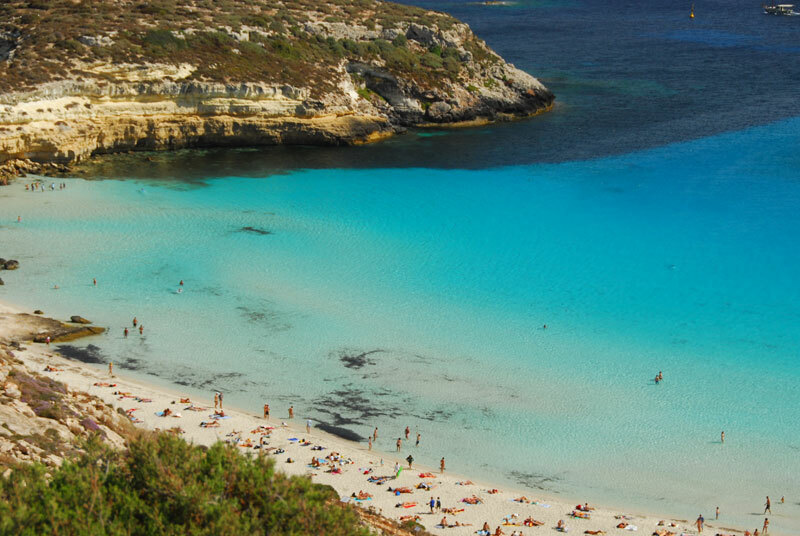 Tabaccara is one of the most evocative places on the Island of Lampedusa and is a must-see while you are here; it is a place where your dream beach holiday will become reality.